Magento often organizes Partner Enablement Events, such as live demos, webinars and quick start trainings. While we participated in a number of such demos and webinars, we’ve never been a part of an on-site training for sales and business development staff aimed at solution and technology partners. This changed last week in France, and here’s our overview of what happened in Paris. Our Paris adventure started when we received an email in December from Magento’s Amy Schade informing us about the upcoming Magento Quick Start Training (targeted for sales people and Magento new hires) and when we saw her invitation, we decided to add another event to our list. As a prerequisite, we all had to complete free Quick start pre-learning courses which really helped us to sharpen our Magento skills, fill the gaps and learn a thing or two about new Magento products. Time passed by really quickly and we found ourselves in Paris, sitting in PayPal offices, sipping coffee, eating croissants (if you’re in France, you must try their croissants, they are something special) and waiting for the training to start. Training started on February 1st and lasted for three days including lectures, case studies, group activities and final team assignment. First day was reserved for Magento Corporate overview and overview of Magento B2B features. Second day included overview of Digital Commerce platform, discussion about differences between Magento 1 and Magento 2 and overview of Magento Enterprise and Magento Enterprise Cloud Edition functionalities. Some of Magento’s latest products such as Business intelligence (previously Magento Analytics), MCOM (Magento Commerce Order Management) and Magento’s Payment and Risk were presented on the last day of training after which we had a team’s contest based on a fictive case study. We had to come up with the most suitable and creative solution for their case and most importantly within the client’s budget. Our sales team, consisting of Aron Stanić, Antonija Tadić, Želimir Gusak and myself rolled up our sleeves, presented our ideas and won the prize with the most creative solution for our fictitious client. 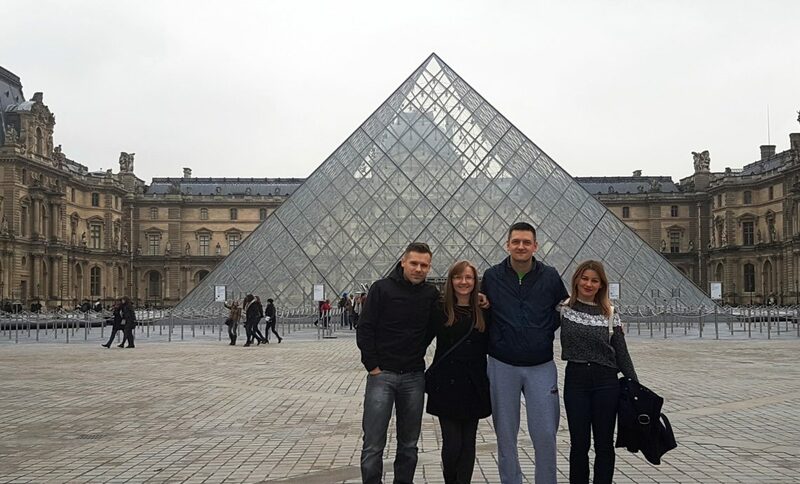 Once the training was over, we just had to try some of the famous French cuisine and visit the most popular tourist destinations such as Louvre and Orsay museums, palace of Versailles and climb on the top of the Eiffel tower. This whole event helped us to feel like we’re on top of everything (not just Eiffel tower) and I was happy to be part of this event. It was a great opportunity to catch up with the latest Magento changes, accelerate our knowledge and learn directly from Magento people – such as Craig Peasley (Head of Product Marketing) and Bob Moore (Head of Magento BI, Founder of RJMetrics that’s behind this new tool). It was also a great opportunity to meet with other Magento partners like Smile (FR), Alpenite (IT), Uniway (BE), Youwe and Jaagers (NL) – just to name a few. And this is where our Paris adventure ends. After finishing this course of training we’re back in the office and feel even more confident that we’ll bring the best (if not the most creative) solutions to our clients. So, if you’re looking for a Magento development partner feel free to contact us, and someone from our sales team (now officially Magento trained sales team :)) will get back to you ASAP. How about you, have you ever attended Magento training and what are your experiences? 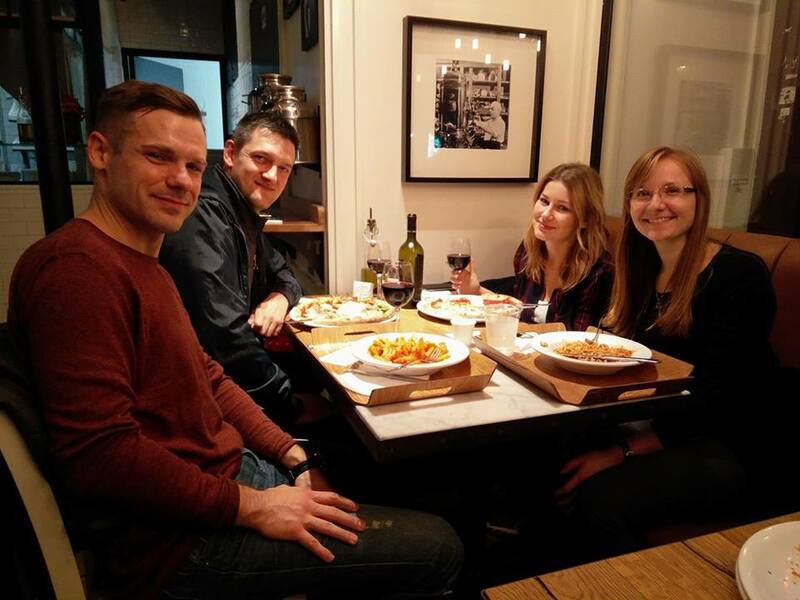 Featured photo credit goes to – Laura Kimball, Magento Inc.
Hope you enjoyed rest of your stay in Pairs, and hopefully meet you again on some future Magento events.